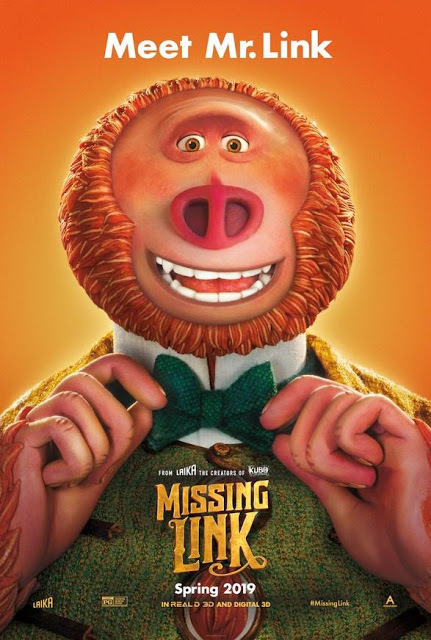 Enter For A Chance To Win Passes To See MISSING LINK on April 6th at 11:00 AM in LAS VEGAS. Meet Mr. Link: 8 feet tall, 630 lbs, and covered in fur, but don’t let his appearance fool you… he is funny, sweet, and adorably literal, making him the world’s most lovable legend. Tired of living a solitary life in the Pacific Northwest, Mr. Link recruits fearless explorer Sir Lionel Frost to guide him on a journey to find his long-lost relatives in the fabled valley of Shangri-La. Along with adventurer Adelina Fortnight, our fearless trio of explorers encounter more than their fair share of peril as they travel to the far reaches of the world to help their new friend.